+ Button Increases Repute And Point Of Any Members. And - Button Decreases Repute And Point Of Any Member. 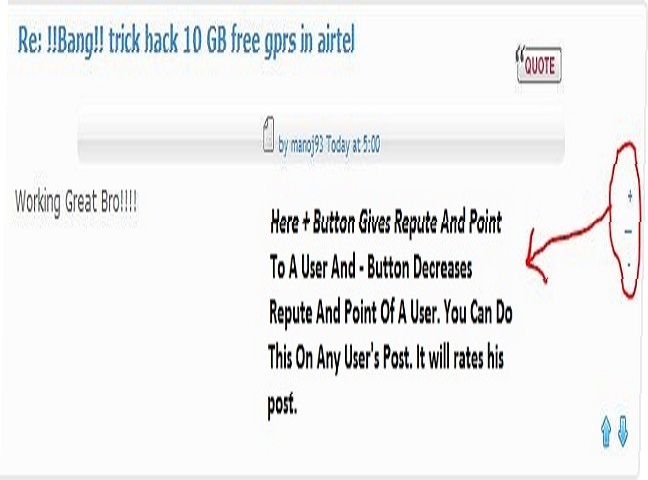 This Is How You Can Increase Or Decrease Point And Repute Of Any User.